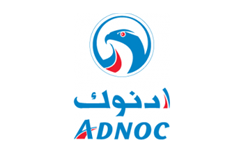 Abu Dhabi National Oil Company (ADNOC) was established in 1971 to operate in all areas of the oil and gas industry and since then has steadily broadened its activity in establishing companies and subsidiaries and creating an integrated oil and gas industry in the fields of exploration and production, support services, oil refining and gas processing, chemicals and petrochemicals, maritime transportation and refined products. We operate across the entire hydrocarbon value chain, through a network of fully-integrated businesses, with interests that range from exploration, production, storage, refining and distribution, to the development of a wide-range of petrochemical products. For over 45 years, we have played an integral role in Abu Dhabi’s economic development; managing, producing and preserving the Emirate’s hydrocarbon reserves on behalf of the Abu Dhabi Government. We are the principle catalyst of growth in the Emirate, and our work has had a positive and lasting impact on the quality of millions of lives. Since 1971, we have created thousands of jobs, driven the growth of a diverse knowledge-based economy, and played a key role in Abu Dhabi’s global emergence.